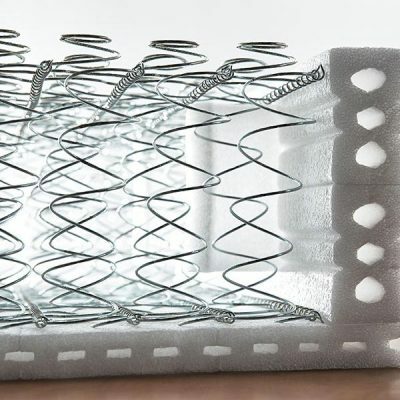 Named the ReST Ti® coil, meaning Responsive Support Technology, this design has three distinct phases that act together with the aim of remaining true to the correct back support described by the orthopaedic surgeons in their work to develop the first Sealy Posturepedic so many years ago. These support principles have been the driving force behind Sealy Posturepedic coil development from the basic designs used in the 50’s to the industry’s most advanced design today. 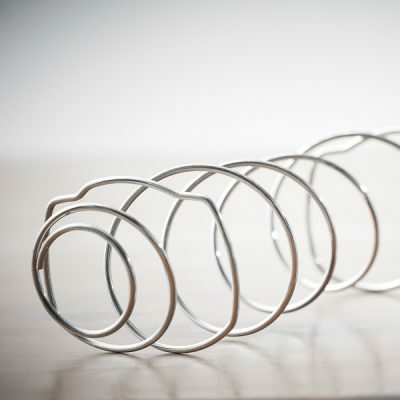 The first stage, at the top of the coil is the Synerflex® surface. This free floating coil micro conforms to provide the seamless transition from the cushioning layers above to the deeper down support provided by the coil core. Finally the ReST Ti® coil columns are aligned in an alternating pattern across the mattress providing reduced surface motion to help achieve a more restful night’s sleep. 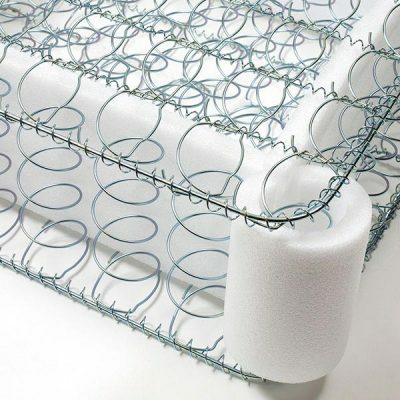 EdgeGuard is an engineered, polyethylene insert placed around the entire perimeter of the mattress. The inclusion of EdgeGuard effectively extends the sleep surface by an average of 10% as well as providing a firm seating edge. The Sealy PostureTech® Coil design supports and conforms to the unique shape of the human back and body of all body shapes and sizes as it moves through the night with exacting precision – a bed for everyone. 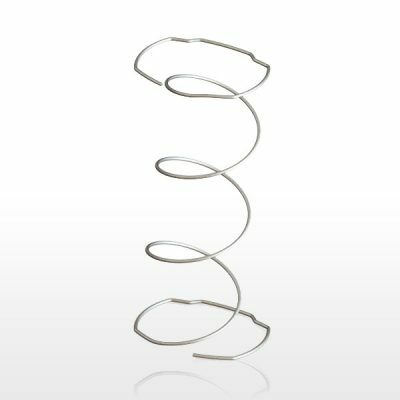 According to the Load Deflection Analysis, it is easy to find out that PostureTech® Coil is able to provide the soft initial load and firms to respond to increased pressure, which makes Sealy unique and incomparable. The UniCased®construction is found only in the Sealy Posturepedic Mattresses. It is designed to minimize partner disturbance, provide edge-to-edge comfort and a firm seating edge. It increases the sleeping surface by at least 15 %. 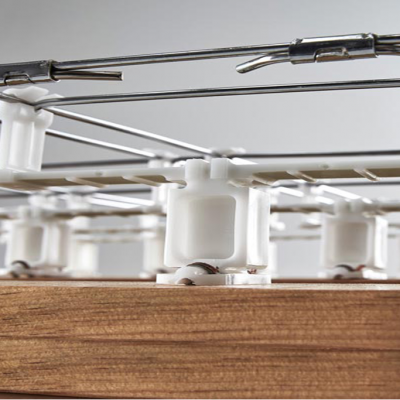 Keyguard: a durable, specially moulded panel that locks into the innerspring to provide Edge support and overall stability. When combined with the base plank – multiple channels that cushion the underside of the inner spring – the result is the breakthrough in design and function. Motion Reduction Technology: Premium visco-elastic foam minimizes partner disturbance and relieves pressure points through slow recovery properties which equates to comfort. Comfort – Conformance and Support: It minimizes pressure points and that equates to comfort. Our foundation features a new patented one-piece steel design. The unique grid/leg assembly is very efficient, firm, durable and noiseless. Features include:– A complete one-piece steel foundation with no separate components. Heavy duty border rod is welded to grid for maximum edge firmness and no side sway. Reinforced grid adds surface coverage and enhances stability. Passed all durability tests including Cornell, Rollator and Impact.